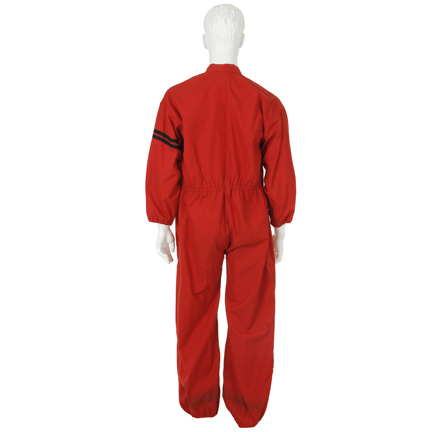 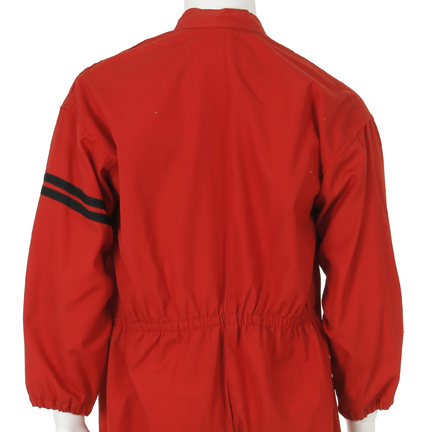 This pair of red coveralls was worn by the character "Ovits" portrayed by Harvey Lembeck in the hit television series “Mork & Mindy,” (1978 – 1982) Robin Williams and Pam Dawber. 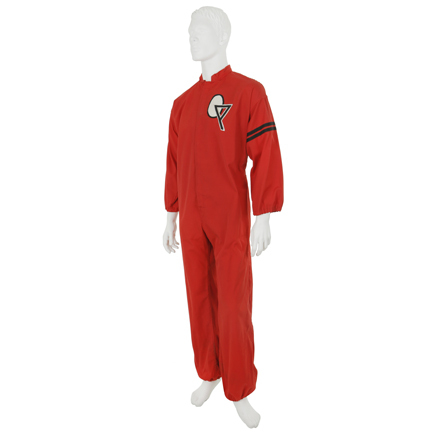 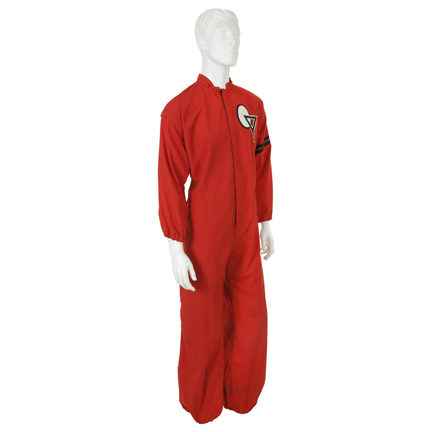 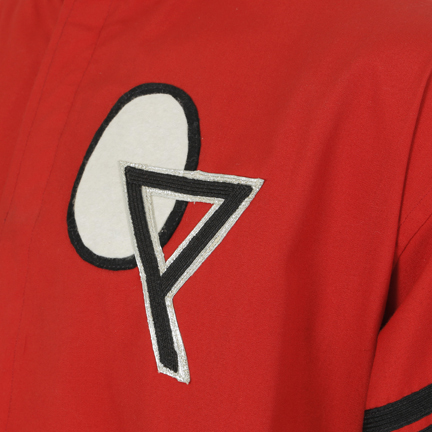 The bright red coveralls have a custom-made Ork Prep School patch on the left breast, double black bands on right sleeve, stand collar, Velcro front closure, and elastic cuffs. 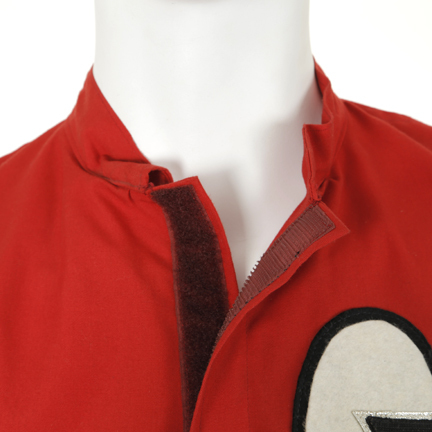 Internal “48-42-32” and (1) hand written on the collar. 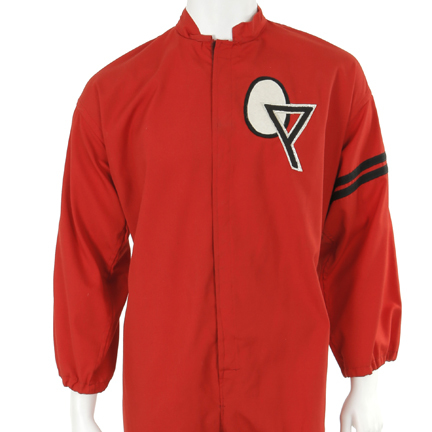 Worn in S4 E10 ”Pajama Game 1” and S4 E11 "Pajama Game II" when starts his first day of school on Ork. 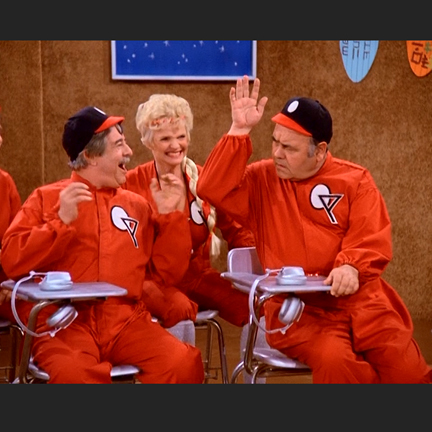 Mearth hates school after being teased for being an "Earth-head". 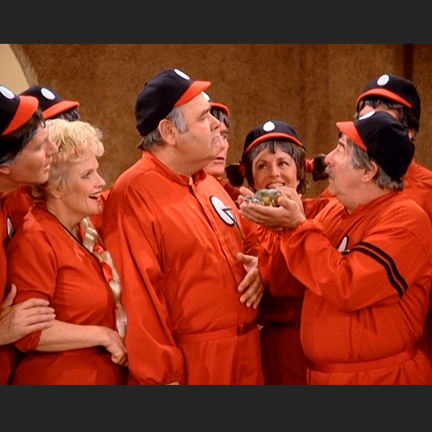 Ovits is the school bully and teases Mearth throughout the entire episode. 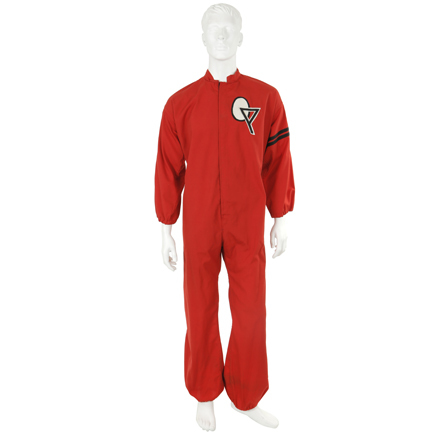 In "Pajama Game II” Mearth invites two classmates from Ork to visit Earth for a sleepover, Ovits and Zelka (Maureen Arthur). 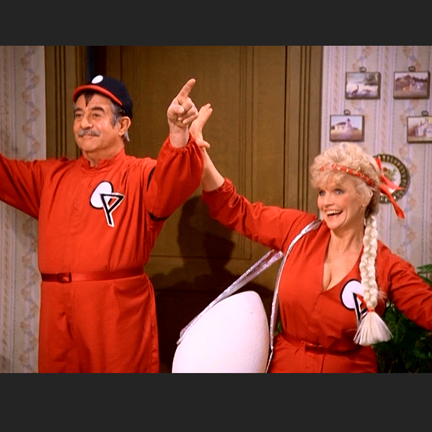 After Ovits blows up Mearth's toy giraffe, he is beamed back to Ork. 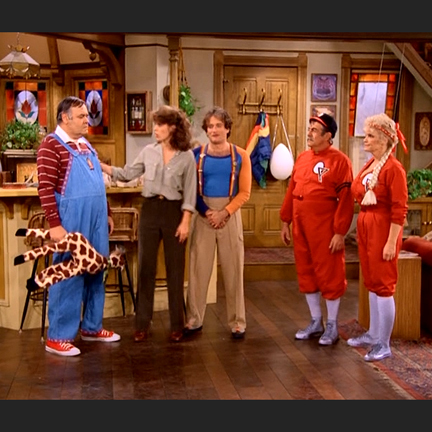 The actor Harvey Lemback died two days before his episode "Pajama Game II" aired.